I hope to go to graduate school and get my PhD in either biology or engineering. Then, I would like to eventually lead my own lab (possibly in bioengineering). I’m interested in biomimetics as well, and that would be another way to explore both my interest in botany and my interest in engineering. Garfield High School is well known for its many AP classes, including AP Chemistry, AP Biology, AP Environmental Science, and AP Physics (among others). It has a strong music program and a culture of liberalism and political activism. I have been interested in botany since third grade when I was shown the David Attenborough documentary The Private Life of Plants. I had done some of my own research into hydroponics already when I learned about Project Feed 1010’s research in aquaponics, and I was thrilled that I could be a part of it. I was also excited for the opportunity to contribute to research that has the potential to have a huge positive impact, all while getting experience working in a lab and a better understanding of science outside the classroom as a whole. Many of the students at Garfield High School care a lot about environmental issues, and so this seems like it would be interesting to many students and offer them a way to support sustainable agriculture with more immediate, tangible results than activism like calling their senators or buying sustainably grown produce (although ideally it would also encourage them to do that as well). 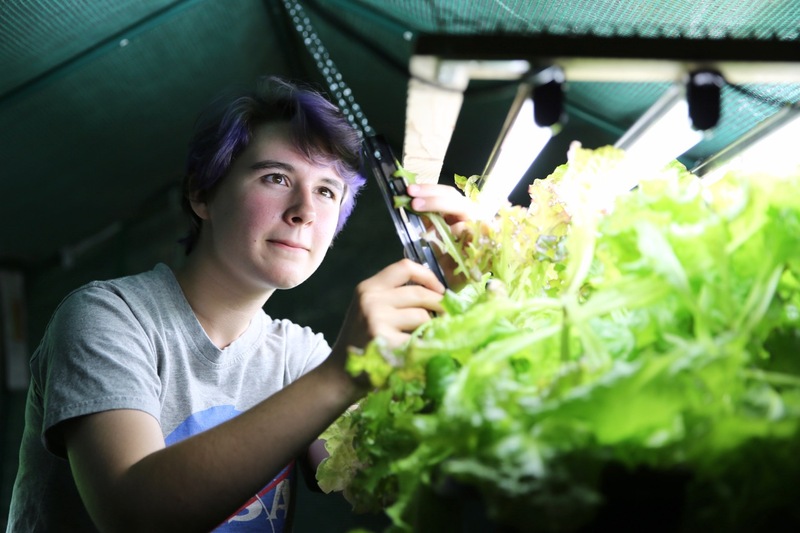 The AP Environmental Science and Horticulture teacher at my school operates the greenhouse, and last year she worked with a previous Project Feed 1010 intern to start setting up an aquaponics system. We can take over maintenance and continue to develop the system, and try to integrate it into the Horticulture curriculum. We can also try to partner with Gardening Club or Earth Corps to raise awareness and get more students involved. WHAT IS YOUR PLAN? WHAT DOES YOUR TIMELINE LOOK LIKE THROUGHOUT THE YEAR? Outreach will be a challenge because despite having a Gardening Club and Earth Corps, they are not very active clubs and have relatively low membership. In addition, while many students may hear about the aquaponic system, they might not know how to become involved.